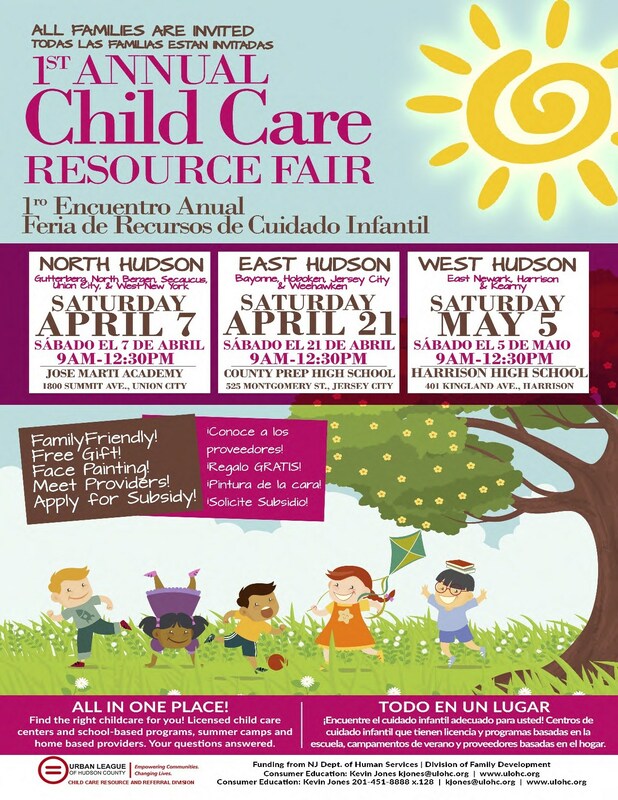 Come visit the Urban League of Hudson County on April 7, 2018 at the Jose Marti Freshman Academy for the 1st Annual Child Care Resource Fair between the hours of 9:00am to 12:30pm. At this fair, the Urban League will be offering information on New Jersey Childcare subsidies and social services which can benefit young families. 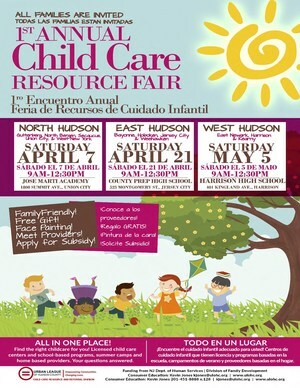 All the community childcare programs and providers will be at this fair providing information and to answer questions for our residents. Registration information for school base programs, child care centers, head starts and home care providers, ALL IN ONE PLACE. This is an excellent opportunity to meet program directors and apply for NJ Child Care subsidies, for summer camp and more!